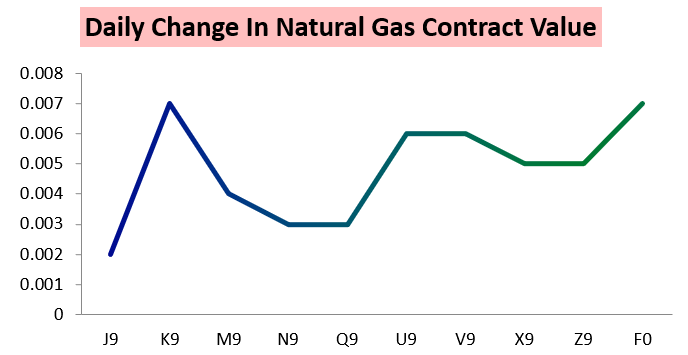 The April natural gas contract shook off long-range warm trends and an increase in estimated production over the weekend that led prices to gap down last evening, as the contract eventually settled up two ticks from Friday. 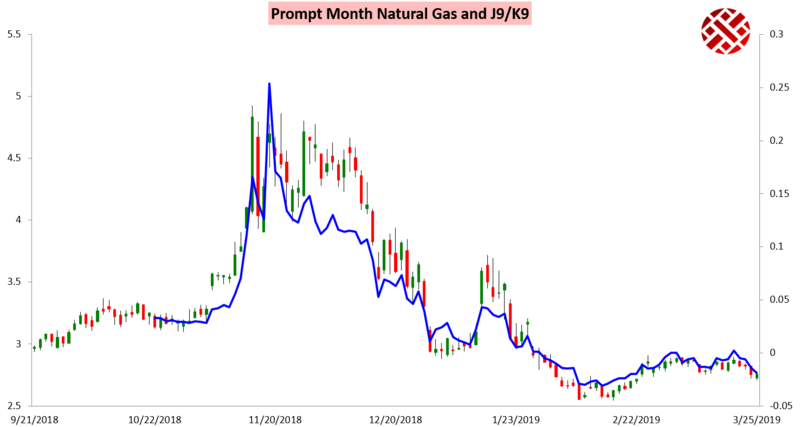 It was the May contract the led the way higher, however, as it dragged up both April and summer gas. The result was another tick lower in the April/May contract spread that is set to expire on Wednesday. Prices initially dipped on indications that production had surged back near record levels over the weekend. 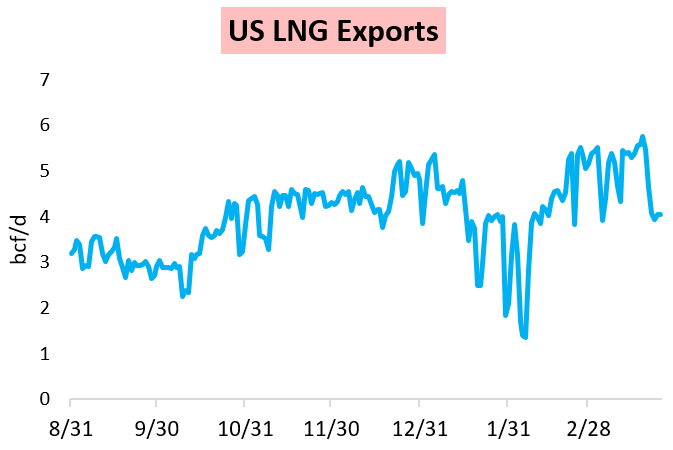 We also noted looser balances over the past month, and a dip in LNG exports hit prices last week as well. Through the day gas prices found some support on medium-range weather forecasts that continued to trend colder, verifying our Neutral sentiment in our Morning Update as well. Henry Hub cash prices saw some firmness through the morning with modest cold expected tomorrow, though they were not particularly strong. Attention now turns to April contract options expiry tomorrow, which last month brought quite a bit of volatility and a violent move upwards. 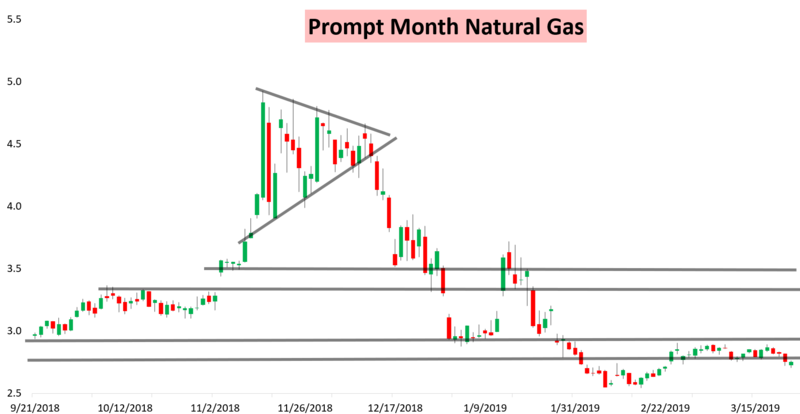 In our Afternoon Update we broke down what to expect with both weather and natural gas price action into the day tomorrow; try out a 10-day free trial here to give it a look.